Panicking over what to get your loved one for Valentine's Day? Congratulations! You're not alone. Although, nothing quite kills the mood like stressing out about what to get your other half in the run up to the day. Whether it's your first Valentine's together, or your 15th, buying the perfect gift can be a stressful affair! We've sorted out the 2018 Valentine's gift guide to help you nail it this year, all whilst supporting local Scottish businesses. There's guaranteed to be happy faces all round with a gift of the good stuff. Craft gin, whisky and beer are all good options for your other half, but with so many on the market, how can you possibly choose? For beer lovers, there's only one stop on the map in Glasgow: the Grunting Growler. You certainly can't have a "swatch" of this growler, but you can take a drink! The Grunting Growler, located on Old Dumbarton Road, is home an impressive collection of craft beers and ales. Craft beer fans can purchase a "Growler" - a glass jug (pressurised to maintain fizz) - which is then used to transport one of four beers kept on tap. The best bit is once you're done with the Growler, head on back in and the staff will sanitise your Growler to fill up with the next beer of your choosing. The shop also sells "traditionally" bottled and canned beers too. If spirits are more to your other half's tastes, why not consider a gift set or subscription from Falkirk based start-up, Bottle in a Box?Subscriptions for gin, whisky, rum and vodka all begin at a reasonable £40/month - with options to stagger the subscription every two months or quarterly.The price tag may be a little pricier compared to the high street, but bear in mind that there's no marketplace gin to be had in these subscription boxes! 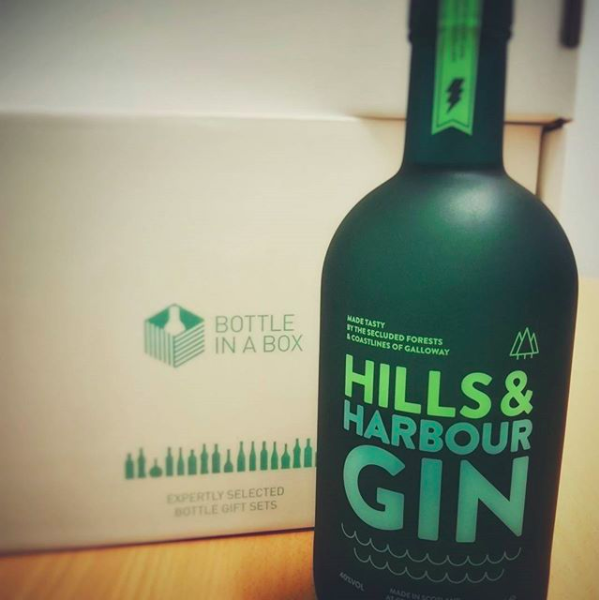 Boxes are set to include only premium spirits - so think along the lines of Kintyre, Lone Wolf and Wild Island Botanic Gin. Trust us when we say, good quality gin is worth the money. Experiences are the ultimate bonding exercise - an important component of any relationship. 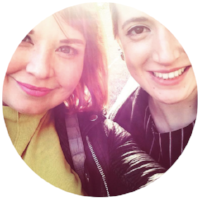 The good news is Glasgow is teaming with culture, history and art - so even if you're still feeling the financial pinch of the Christmas period and running on a shoestring budget, there's plenty you can do with your other half to make your Valentine's Day special. Why not take the day to be a tourist in your own city and visit one of Glasgow's many free museums? TheKelvingrove Art Gallery and Museum is home to many incredible works of art and you can even take a free guided tour at the weekend. If you time it right, you'll also be able to witness a daily music recital, played on the museum's magnificent organ. You can even bring your own picnic along - there are places inside and outside of the museum to enjoy your own private little feast! Do you fancy something completely different? If your partner is the gin to your tonic, then why not opt for a spa day at Glasgow's very own Gin Spa? The first of it's kind, the Merchant City spa extends its knowledge of botanicals to both spa treatments and gin-drinking - culminating in a unique experience beyond your "traditional" spa day. Couples can book onto the "Gin to Your Tonic" package at £175 and enjoy an hour of spa treatments, followed by afternoon tea with prosecco, as well as a gin and tonic! You can never go wrong with the classic chocolate-and-flowers combo. But, just because you're going traditional, doesn't mean you can't make it just that little bit more special! For flowers, we recommend heading to the highly-commended Mud Urban Flowers.Mud Urban have bases in both Glasgow and Edinburgh and offer flowers and delivery from just £19. Flowers can come in three sizes - little, luxe and lush, and are available both as a once-off gift, as well as a subscription. When it comes to something sweet, it's hard not to fall in love with our long-time favourite raw and vegan brand,Rawnchy!Cakes, tarts, truffles and sweet treats by Rawnchy are all made with the healthiest of ingredients, meaning that even if you do indulge a little too much, it's practically guilt free! Did we mention they're also incredibly beautiful? They're a dead cert for impressing your other half for sure! How are you planning to spend Valentine's Day? Tell us in the comments or head on over to Twitter and chat to us there!